CGMTYS, Mawab, Compostela Valley - A Squad leader of the Communist NPA Terrorist (CNT) roaming in Sarangani Province has been added to the list of rebels who are now embracing the government after voluntarily surrendering to the 73rd Infantry Battalion (IB) on May 15, 2018. During the interview, Samson Pagalangan Salda alias "Lakay," a 39-year old resident of Brgy. Sulit, Polomolok, South Cotabato said that he surrendered due to fear for his life. He knew that Ka Jingoy was apprehended in Bukidnon and also said that he found hope in the government since he knew that many former NPA members were humanely treated and given livelihood support. 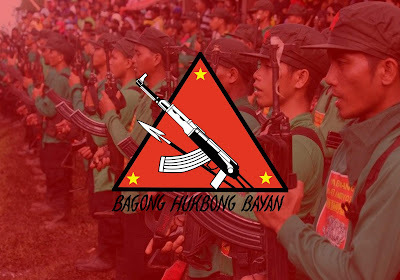 He further revealed that fatigue and hardship are common in the movement due to the relentless military operations and it prompted him to escape and leave the CNT group under Alias JERRY at Sitio Inaburan, Brgy. Tamban, Malungon, Sarangani Province. Alias Lakay surrendered one (1) M16 Rifle (elisco) with a defaced serial number, three (3) long magazines, seventy-nine (79) rounds of ammo, and one (1) Icom radio. He was brought to the Headquarters of 73IB at Brgy. Felis, Malita, Davao Occidental for proper disposition and custodial debriefing.